The exclusive gWave(tm) feature brings the fireplace to life with thewave of a hand; customize the settings then simply wave it on and off. Adding a fireplace to your home is easy when it's an electric fireplace by Dimplex. 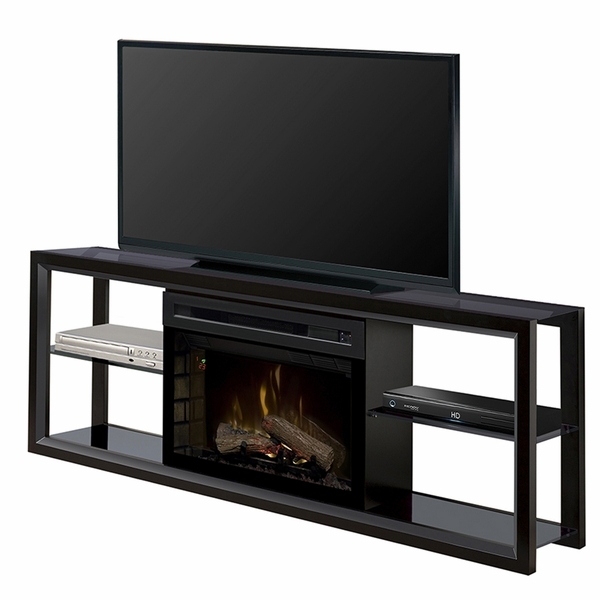 The Novara Electric Fireplace and Media Console offers the convenience of an all-in-one unit and the excellent technological advantages you expect from Dimplex. 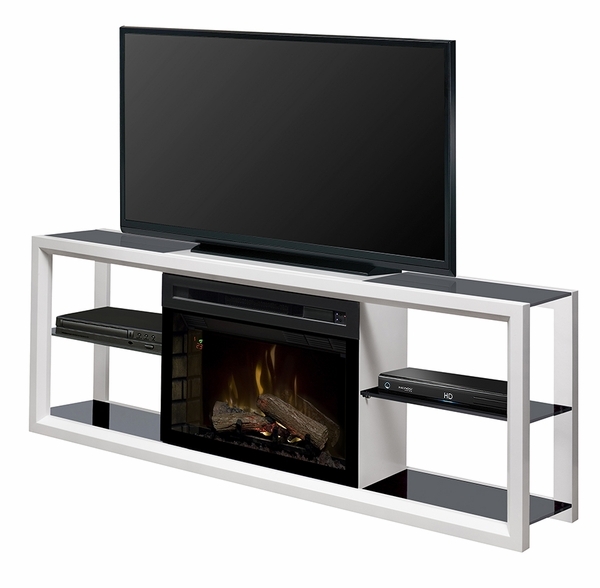 With white or black finish options and smoky glass shelf accents, this strikingly styled media center will surely please the modern and contemporary palate. An exclusively designed fireplace can warm up to 400 square feet and support up to a 60-inch flat screen TV for your viewing pleasure. Dimplex's patented dancing flames give you the charm of a real fireplace with the ease of a remote control. This product is manufactured in Cambridge Ontario, Canada.